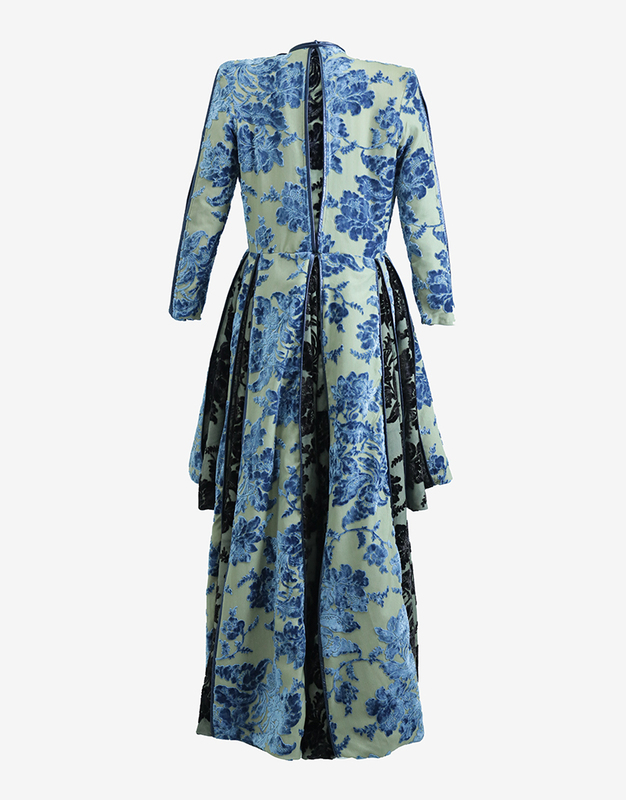 A stunning blue velvet damask coat with a high front and long back. This coat is perfectly trimmed with metallic blue leather in most seams. 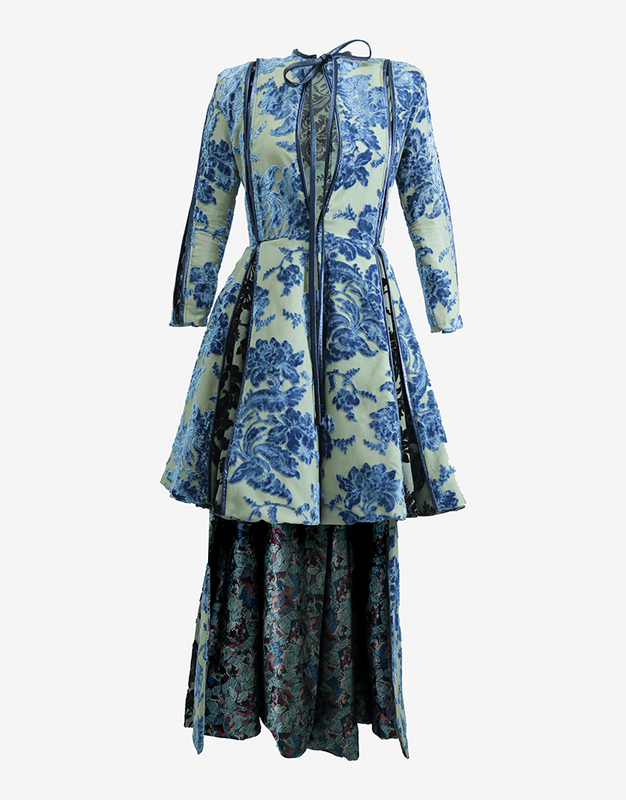 The coat is lined with a jacquard multi-color butterfly fabric. This coat is a wonderful transitional piece that can be worn as a coat by day and a dress by night.